Paris is well known for the Louvre and the Musee d'Orsay but there are several small and wonderful museums housed in historic mansions across the city. Avoid cultural overload and explore at least one of these unique spots in an hour or two, leaving plenty of time to explore the surrounding are and partake in the city's famous cafe culture. If you happen to choose the Jacquemart-Andre Museum, linger over lunch or brunch in the elegant dining room. Adult Price: 12 Є (12.9 USD), audio guide 3 euros.. Even if it didn't house the best small art collection in Paris, the 19th-century Jacquemart-Andre mansion would be worth a visit. The magnificent 19th-century town house on Paris' elegant Boulevard Haussmann provides visitors a rare opportunity to spend time in a private home from a past century and visit the state rooms, the informal rooms, the private apartment, and the Italian Museum. 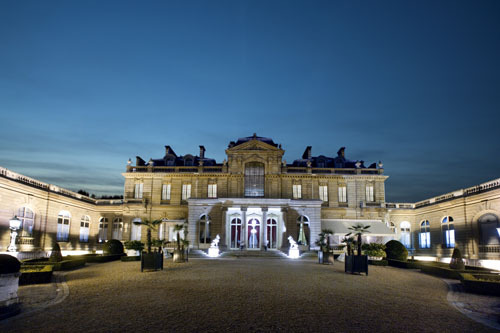 The antiques in the mansion, primarily Louis XV and Louis XVI, are also works of art. The very wealthy Edouard Andre and his artist wife Nelie Jacquemart were greatly enamoured of art, especially from the Italian Renaissance, but also Dutch and French art. They traveled extensively and collected paintings by Tiepolo, Botticelli, Rubens, Rembrandt, Van Dyck, Jacques-Louis David, Fragonard, and many others. The couple spent their lives together building their mansion and amassing rare art. When Andre died, his wife traveled to Asia to continue to expand the collection; finally she donated the home and art and furnishings to the Institut de France. In the mansion's dining room, lined with 17th-century Brussels tapestries, the museum hosts a splendid café, perhaps the most elegant in Paris. Have brunch on Sunday, or lunch or tea during the week. 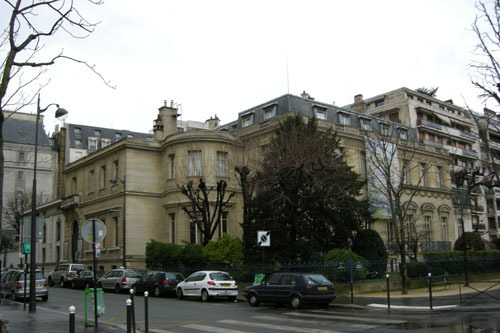 The Marmottan Museum, formerly a beautiful private home between the Bois de Boulogne and the Jardin du Renelagh in the “Passy” residential district, holds a diverse collection of art from the Middle Ages through the 20th century. However since 1966 when it inherited a large collection from Monet’s son in 1966, the museum has held the largest collection of Monet paintings in the world, and is one of the most visited museums in Paris. The vast collection enables us to trace Monet’s art throughout his life, though not always in a straightforward way. The museum also includes works from Monet’s Impressionist friends Degas, Manet, Berthe Morisot, Pissarro, Renoir, and Rodin. The museum often presents theme-based tours (e.g. portraits, the seasons, flowers) for children and the website has online puzzles and games for children. The museum is in an upscale neighborhood --in the classy and wealthy 16th arrondissement said to be the richest in Paris—so you might want to take a stroll to see the area; or, take a long walk down the lively rue de Passy with its trendy boutiques and chain stores, then to the boulevard Delessert and the Jardins du Trocadero, or to the Seine. Rodin, the greatest sculptor since the Renaissance, was born in Paris in 1840. Rodin lived and worked in the beautiful 18th century Hotel Biron (along with other artists) after 1908, which, along with its gardens, houses the museum. His early work was not respected due to his radical departure from accepted standards of the day. Of course taste changed, and he became revered as one of the world's greatest sculptors. The Hotel Biron houses many of Rodin's great marbles ("The Kiss,") while many bronzes (including "The Thinker" and "The Burghers of Calais") are in the garden that he loved. 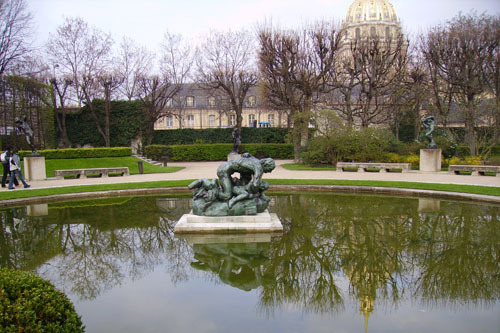 Not only will you see Rodin's great masterpieces, you can learn how the bronzes were cast. There is a room dedicated to the works of Camille Claudel, the very talented young woman artist who was student and lover of Rodin and who ultimately ended up in a mental institution after Rodin left her. 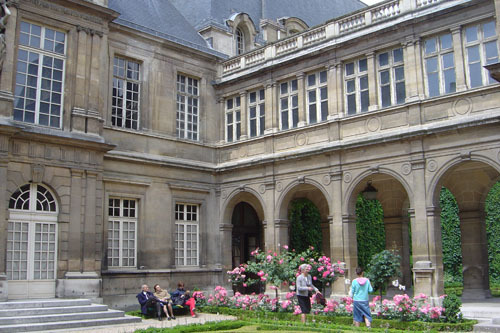 The Carnavalet Museum --also know as the History of Paris Museum--provides a fascinating look at French history in the only surviving 16th century palace in Paris. The building alone would be notable for the famous people associated with it: Francois Mansart enlarged and improved the building in the 1650s; the great letter writer Mme. 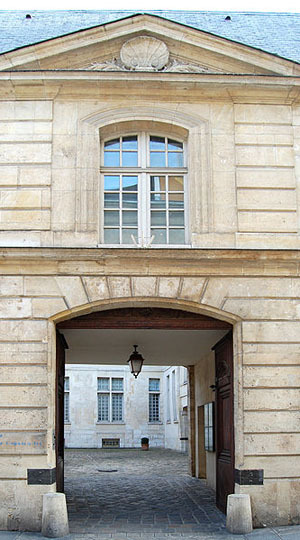 de Sevigne lived there for 30 years in the last half of the 17th century; Baron Haussmann recommended the purchase of the mansion to the city of Paris in the 19th century. The second building in which the museum is located is the early 17th century L'hotel de Peletier de Saint-Fargeau. The museum's displays take many forms: archaeological finds, scale models (e.g. medieval Paris, the Bastille,) furniture, engravings, paintings, even rooms from opulent mansions. The museum traces the history of Paris from its early days through the Middle Ages and the Renaissance, up through modern times; however it is the Revolution that gets the lion's share of attention in the museum and is the best organized part of the collection. This is a fascinating look at French history, entertaining and educational for adults and children. Ernest Cognacq had an interesting, rags-to-riches life. He was orphaned at 12, gave up his studies and traveled as in itinerant merchant in the northern French provinces, trying different trades. He ended up in Paris, where he quickly went bankrupt, but not giving up, he tried selling his goods on the Pont-Neuf, before opening his now famous store, La Samaritaine. He was responsible for many innovations in retailing, including allowing customers to try on clothes before buying, and putting fixed price labels on articles. When Ernest died in 1928, the collection was given to the city of Paris.